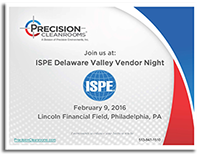 Precision Cleanrooms would like to thank everyone for coming out and visiting our booth at the ISPE Delaware Valley Vendor Night! It was a great turn out! ISPE is an international society for professionals involved in the engineering and manufacture of pharmaceuticals and related products. 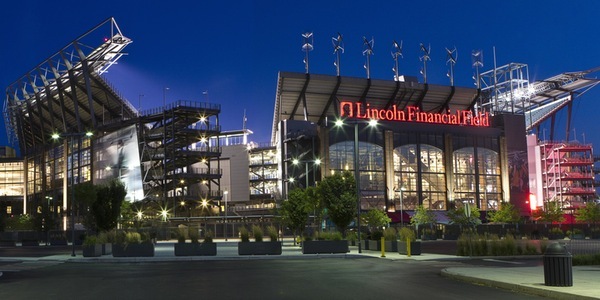 Join us for the ISPE DVC, the 26th Annual Symposium and Exhibition in Philadelphia, PA.
Visit Precision Cleanrooms, a division of Precision Environments, Inc. at the ISPE Annual Symposium & Exhibition. With almost 30 years of delivering industry leading cleanroom environments, Precision Environments, Inc. delivers world class turnkey aseptic cleanroom design, engineering and construction services. We look forward to meeting you at the ISPE Annual Symposium & Exhibition to discuss your next cleanroom project.